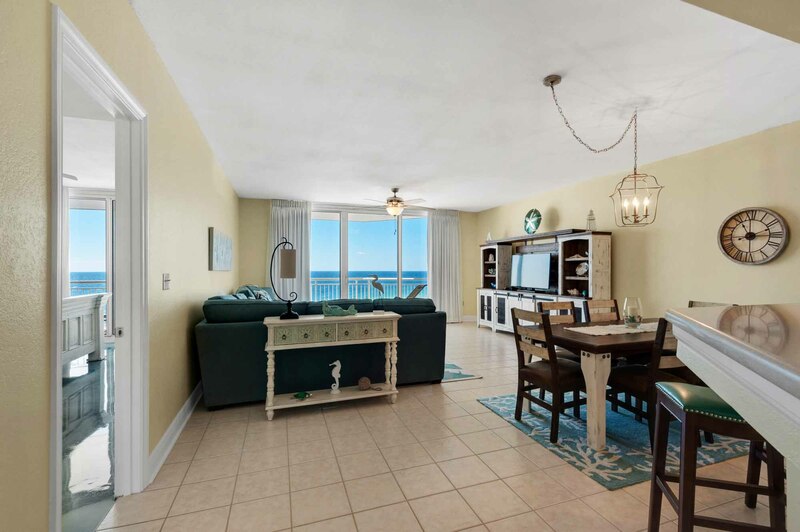 Welcome to Emerald Dreams, where your next beach vacation awaits you! 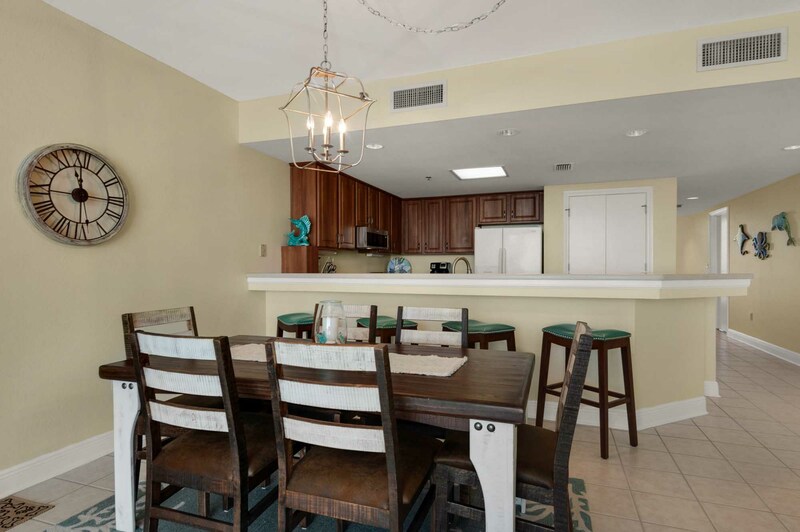 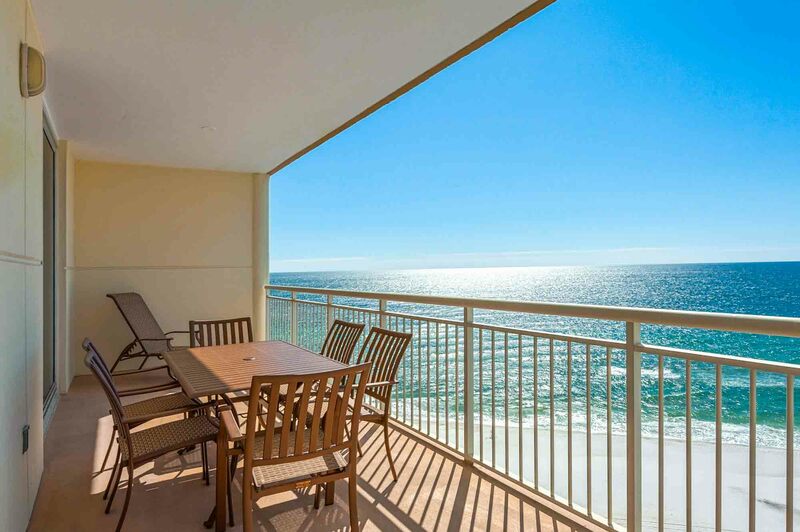 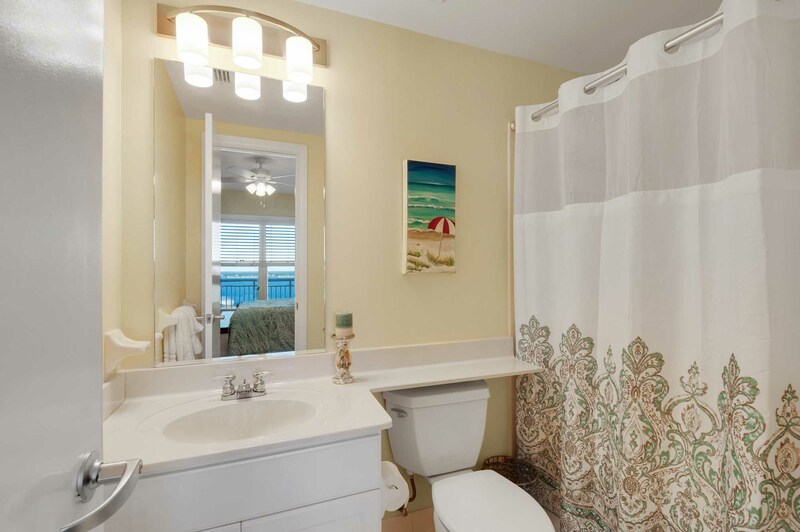 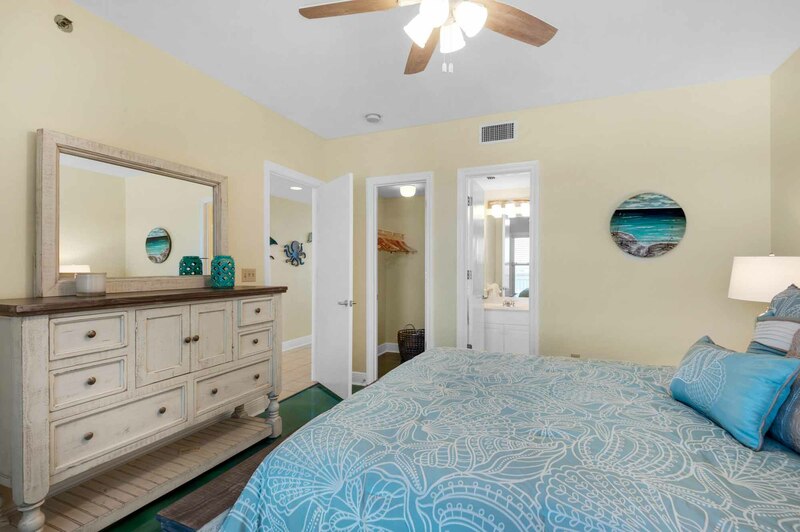 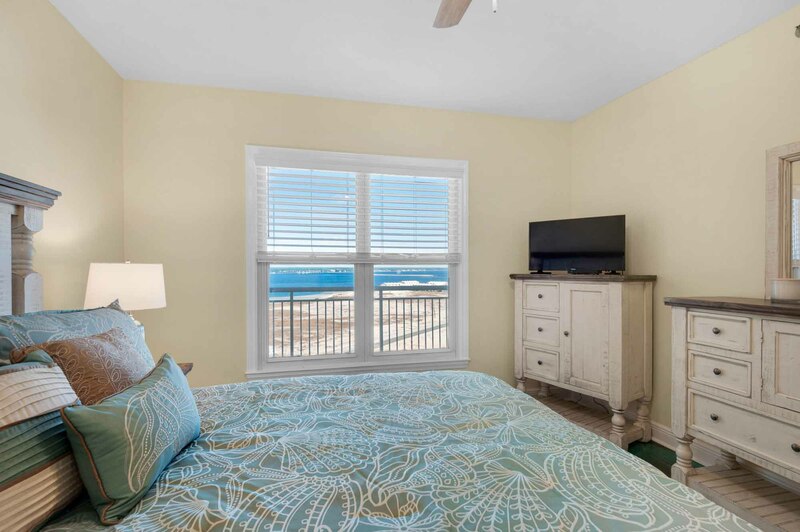 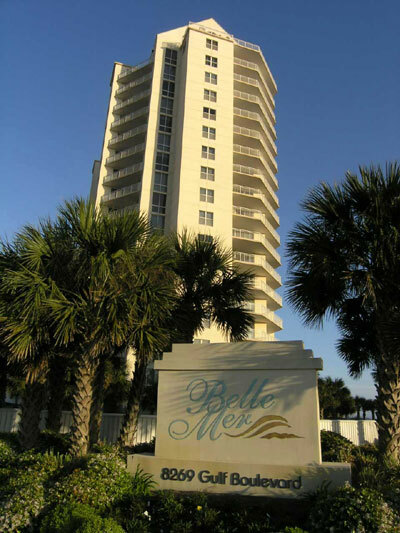 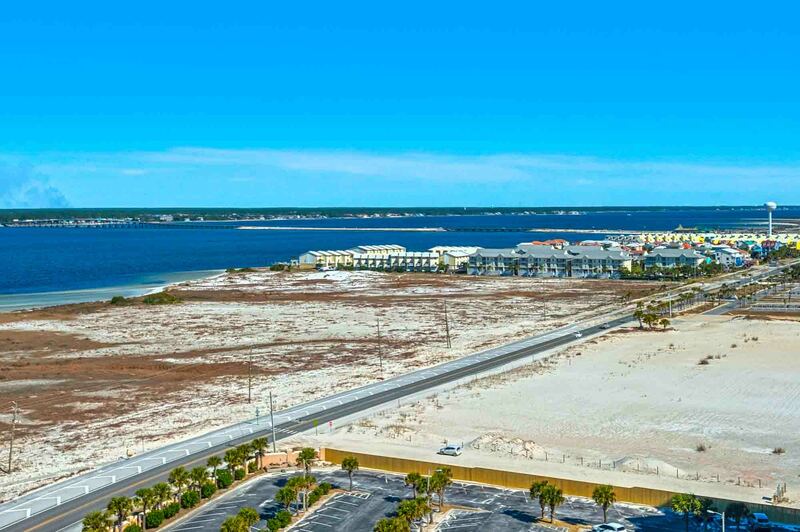 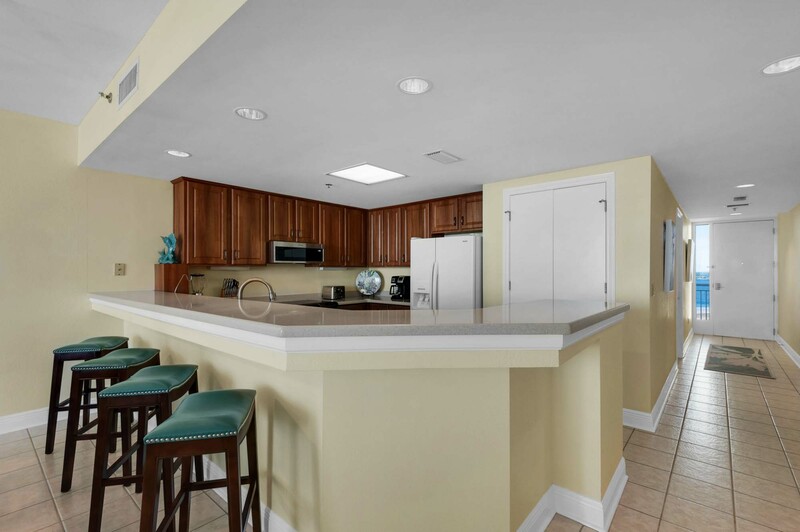 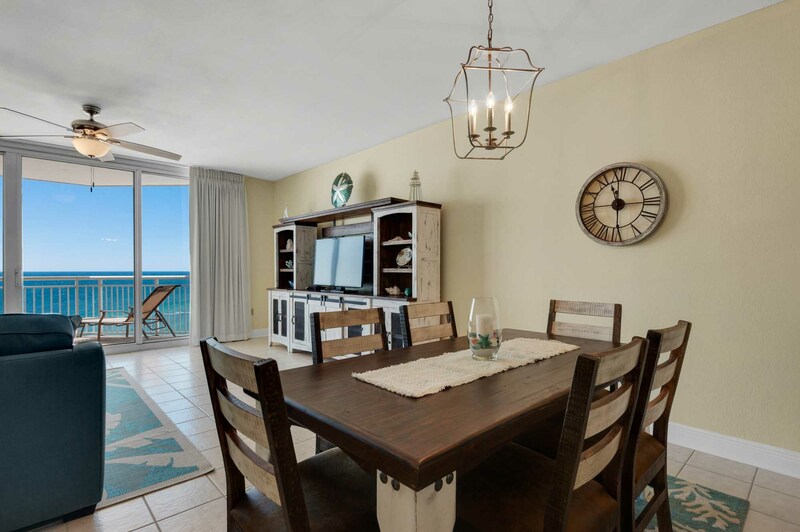 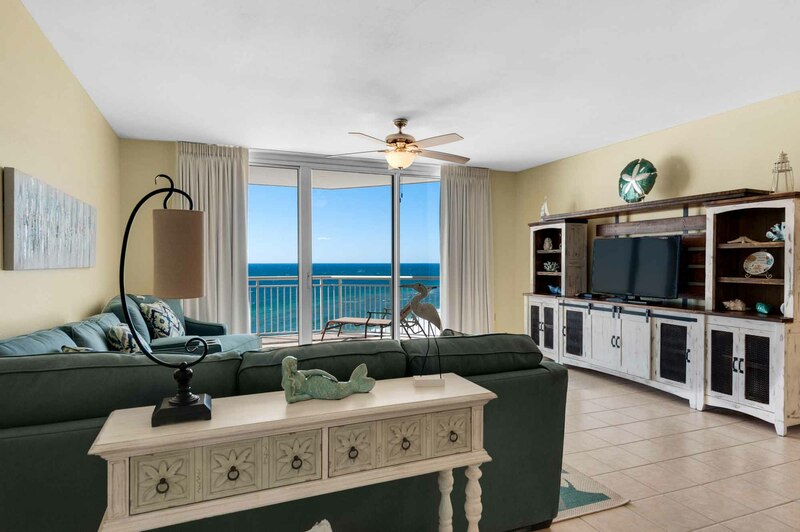 New to the rental program in 2019, this 3 bedroom, 3 bath gulf front unit at the prestigious Belle Mer complex has been completely redone. 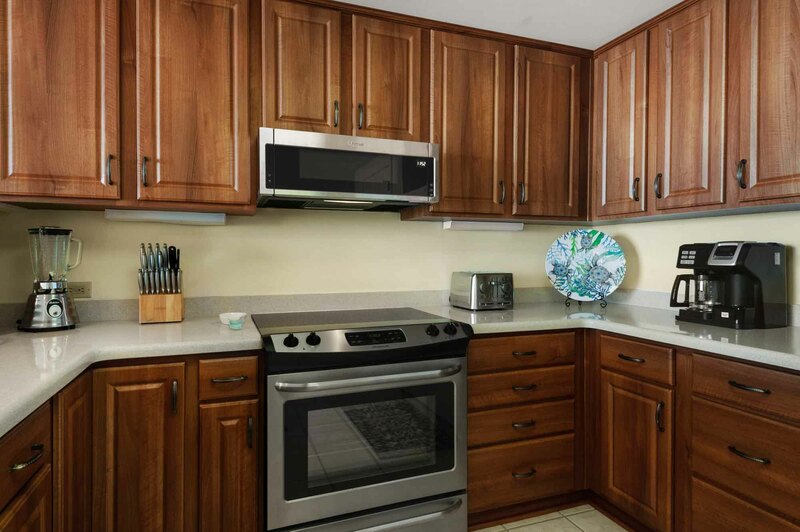 With 1790 square feet, this is a spacious, beautiful unit. 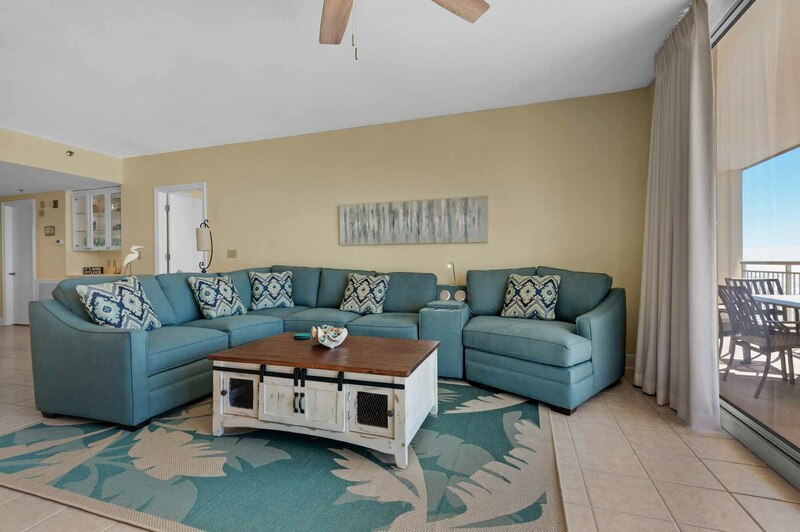 Featuring tile floors in the main area, the living room has the perfect seating for time spent together watching movies on the flat screen TV or reminiscing after a long day at the beach. 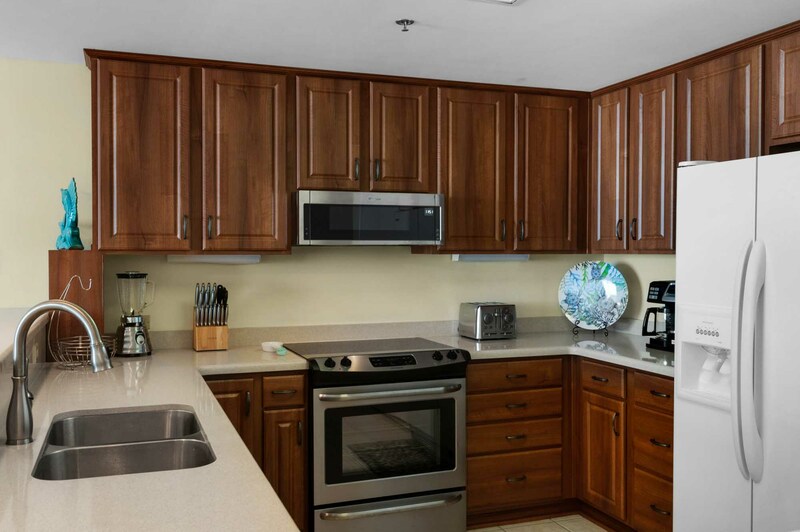 The kitchen features new maple cabinetry and quartz countertops, and plenty of room to prepare your meals. 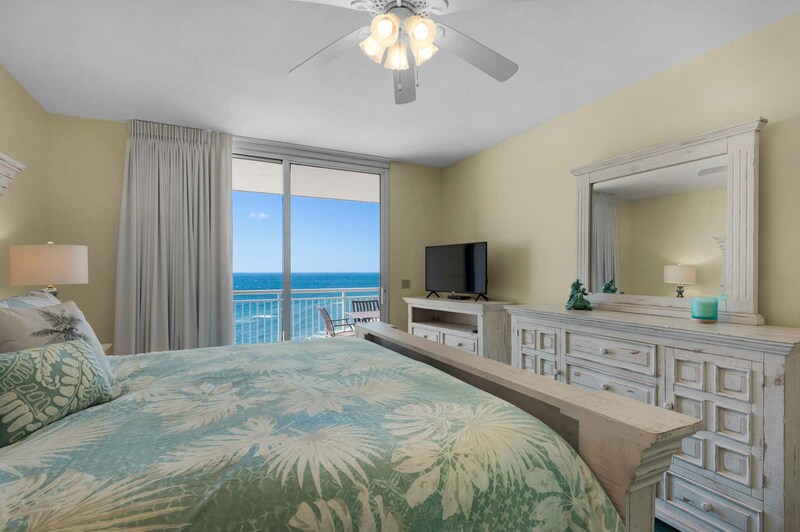 The gulf front master bedroom offers a king size bed, flat screen TV, on-suite bath with a separate vanity/dressing area, and access to the balcony. 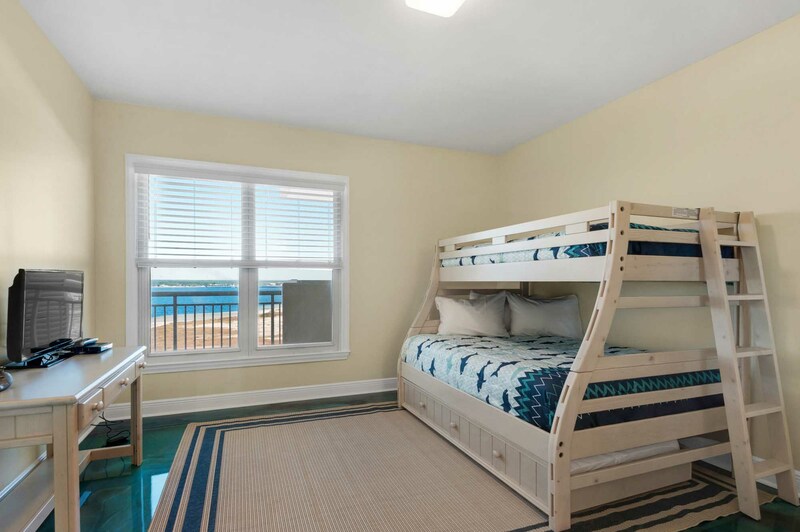 One guest room offers a queen bed, the other has a set of bunks with a full on the bottom with a pull out twin and a twin over. 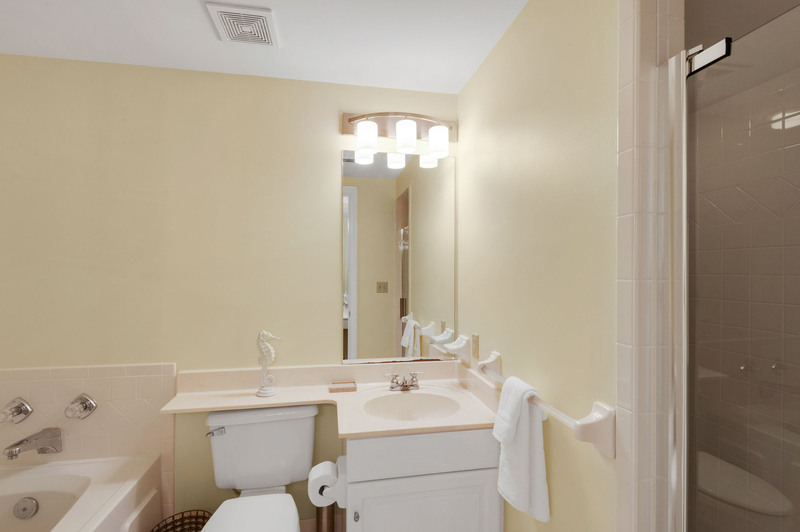 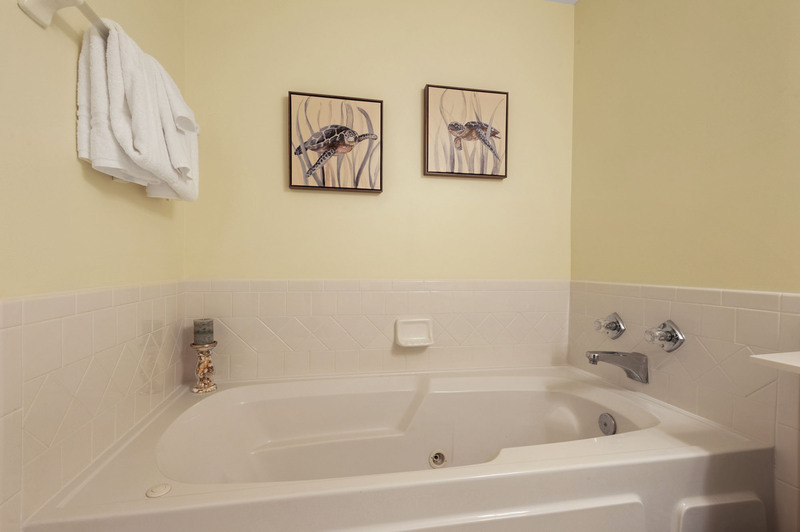 Both guest rooms have flat screen TV's and private baths. 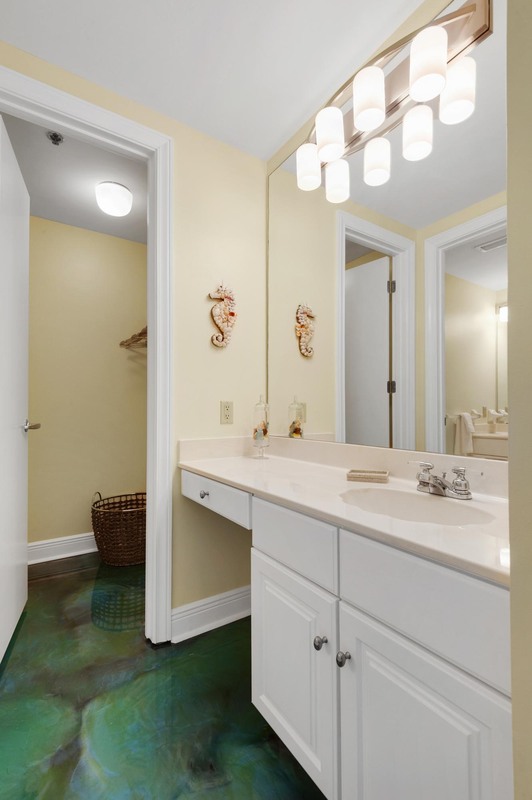 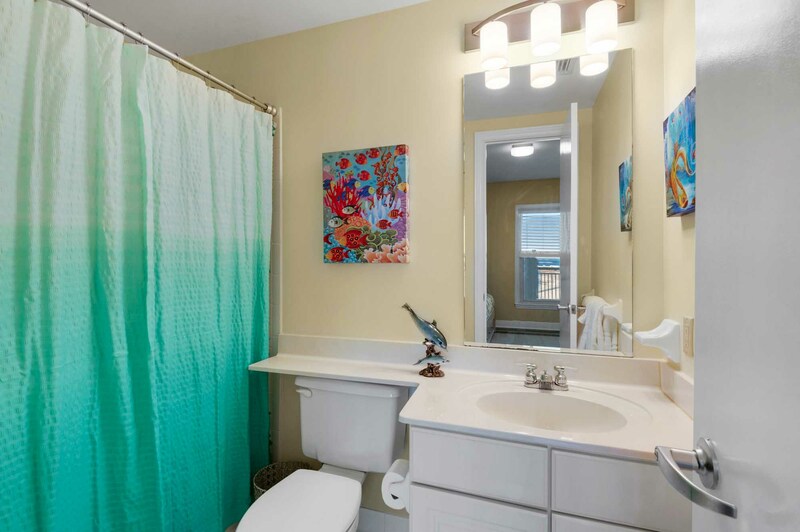 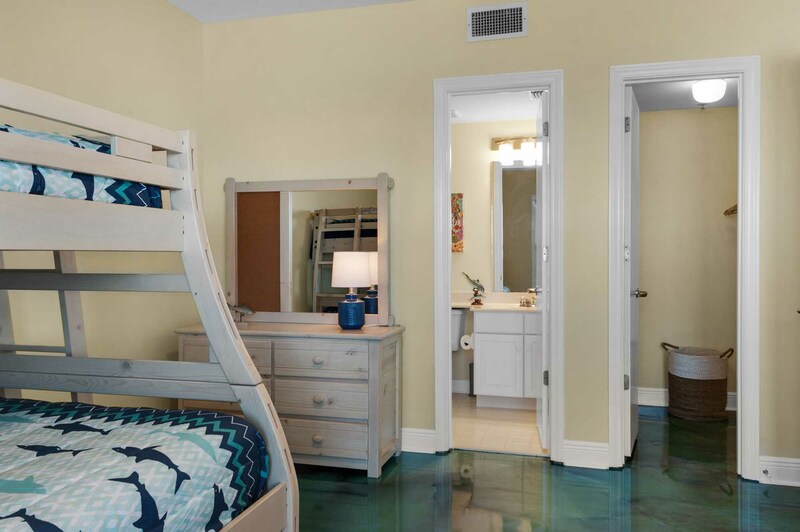 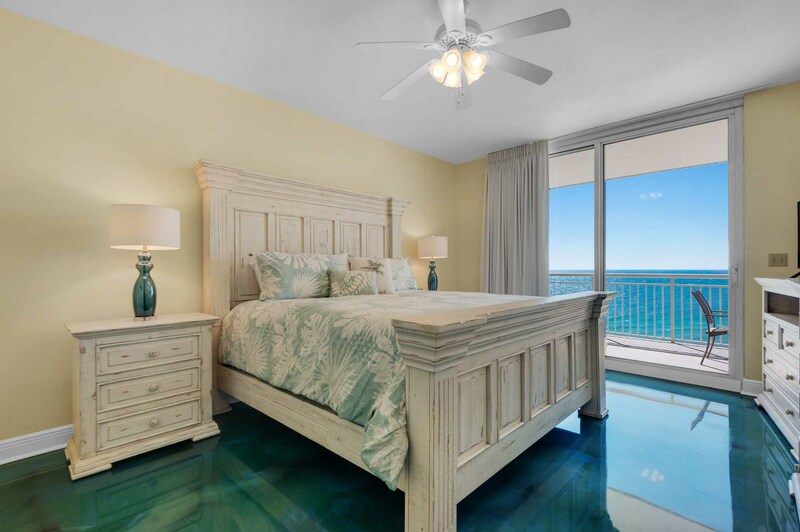 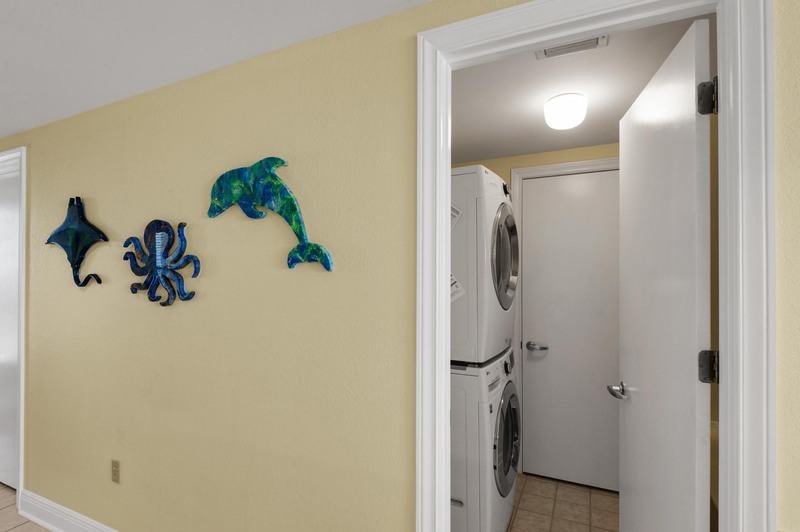 But the most unique part is the bedroom floors look like you are walking on top of the emerald waters that Navarre Beach is known for. 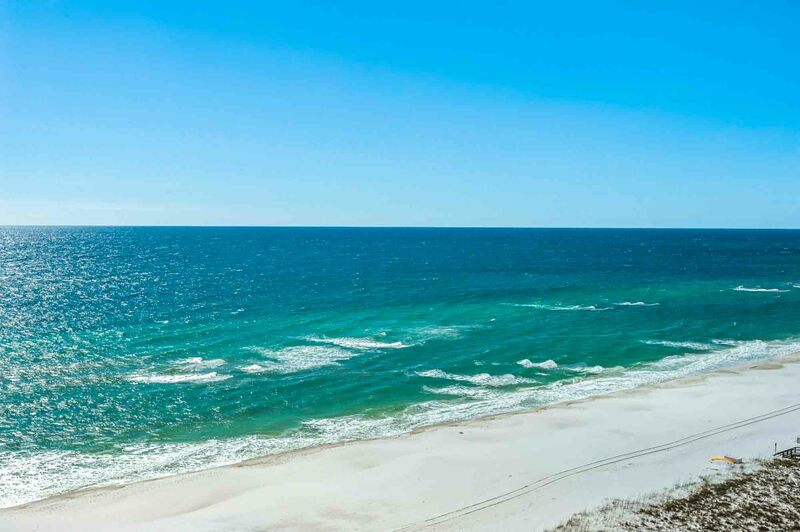 How can you not have sweet dreams here? 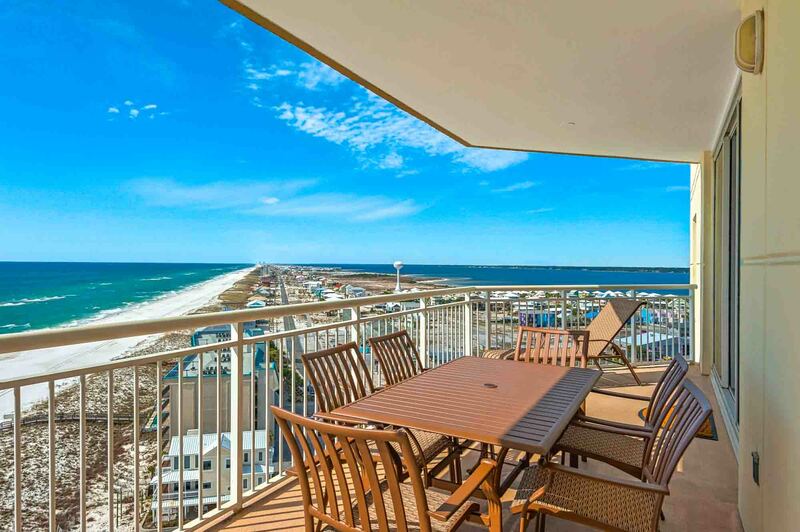 This unit has a large balcony with plenty of seating and is the perfect place to start or end your vacation days. 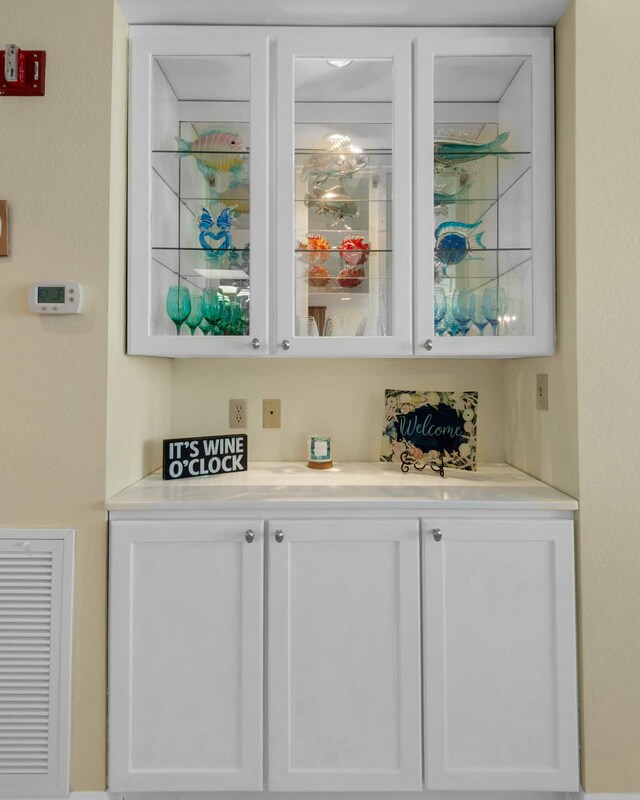 Don't wait to reserve, this unit is sure to be a favorite!